*Emile Zola (1840-1902) was an influential French writer, leader of the Naturalism school of literature. His 20-volume Rougon-Macquart series (Nana, Germinal) describes French society during the reign of Napoleon III. He championed secularism, liberalism, and justice. Zola was an early and outspoken defender of falsely accused and convicted Jewish army officer Alfred Dreyfus. DeLue, Rachael Ziady. 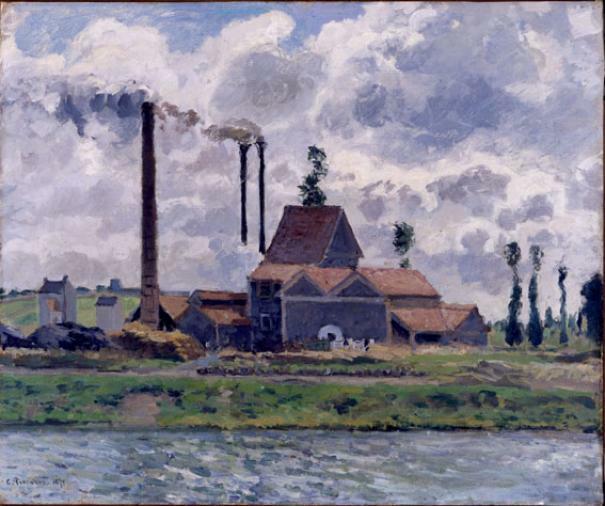 “Pissarro, Landscape, Vision, and Tradition,” The Art Bulletin, vol. 80, no. 4 (December 1998): 723, 731.